Contact Pioneer directly to inquire. you need to find the Pioneer website, or something similer... google the DEH 1600 diagram. really you just need something that tells what the different wires represent by color. then find a wiring diagram for the make and model of your ride that cooresponds to your stereo set up... then just match up the wires and there you go... personally i suggest haveing one of the boys at Best buy throw a harness... it costs like 15 bucks or something. plus you know it will be done right, and you can take it back if its not and have it fixed... bottom line they will be liable for any problems... hope this helps. SOURCE: Pioneer AVIC-N2 does have unlock code? no, this radio has no security code... Check to see that you have power on the yelow wire at all times, Power on the red wire when the key is on, and make sure the black wire is grounded well. something could have been disconnected at the paint shop. Try cleaning the Cd player with a cleaning kit? Does the cd have dirt or scratches? Most of your errors are not so uncommon check these things, and rate accordenly pls. Any infoes abt the pioneer A-X950 stereo 5 piece system? 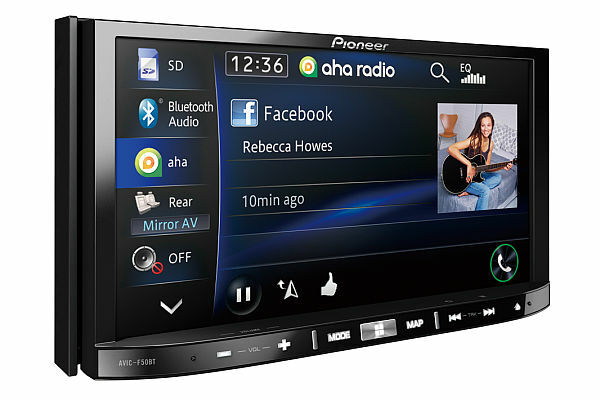 I beleive you are are referring to the Pioneer AVIC X950. REviews and specs are available at the link below. I have a pioneer (AVIC-F900BT) radio it stopped working ??? check fuse inline with the red wire to the stereo, if no power check fuse box for power. of course, You will need a test meter for 12volts. Can I install a Pioneer Avic Z1 into a 2002 gmc jimmy?if so is there a dash kit and wiring harness available? Yes, that is the best way to go. Most local automotive stereo stores sell an installation kit that has a surround that the new stereo mounts in to and fits the space of the stock stereo, and also comes with a wiring harness that wires the new stereo to a plug that fits tthe car's stock radio connector. Does anybody have the wiring diagram for PIONEER AVIC N3 CAR STEREO? drop by your local car stereo dealer and ask them NICELY to reprogram the time for you...then, a NICE person would but the guy lunch, what $10? Pioneer AVIC-N2 does have unlock code?